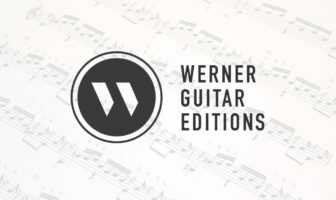 What is the best classical guitar to order online? I teach over 30 students each term at the Victoria Conservatory of Music and I’ve seen a lot of good guitars and a lot of cheap guitars. This list represents what I believe to be the best value for your dollar for online orders via Amazon. Of course I would love to have all my students playing on expensive luthier made instruments but the truth is that most students need to start out with factory guitars until they are ready for a more serious purchase. So this list is for factory-made guitars or small boutique companies rather than individual luthiers. Note: This post was not sponsored by anyone. This is 100% picked by me from my teaching experience. I’ll recommend only one to three guitars for each category to keep this list small and easy to use. I know there are many many more brands but these are the ones I know and trust. Leave a comment below if you want to share your knowledge of others. Links go to Amazon where you can check out the full specs and get more info or buy. I’ve ordered from Amazon and they are great, never damaged and cheapest prices by far. If you are on a super budget then this one is for you. It’s still well built which is why it is such a good bargain for your dollar. If you can afford a better model then you’ll sound will be a bit more elegant and the playability a bit more smooth. Concerts might be better too. However, if you just need something to practice on and get you started these guitars will do the job for an amazing price! I always recommend this guitar to beginner students on a budget and I’m always impressed with what you can get for under $200. It’s not a refined sound but it’s a great working guitar. Bottom Line: Solid, well built, never disappointed. Laminate wood too bad. A solid cedar top makes this guitar just a bit more enticing than the Yamaha.I like Cordoba as a company and so far this is my new absolute beginner recommendation. Bottom line: Nice sound, loud, easy to play. Solid Top is a plus. With a solid top this one has some nice touches. In the end, with laminate back mahogany is fine choice and I don’t think paying the extra for a different laminate is worth it. Bottom Line: Everything you need plus some extra. See my full review of the C5 here. This is great because you get a solid cedar top and laminate Indian rosewood back and sides. This is a fantastic guitar for a beginner or intermediate which should last you until you are ready for a jump to an advanced guitar. In general, this is going to be louder and more refined a sound than the cheap Yamahas but the price is a jump up. Then again, who wants to buy another guitar a year or two from now? However, if you have a few extra bucks you can jump to the next category and get a solid wood guitar on both the back and top. Solid Top & Solid Back/Sides. If you have the money you can get a guitar that will help you play and have much more subtly in terms of musical expression. Solid Canadian cedar top with solid mahogany back and sides. Having solid wood on both the top, back, and sides means way more sustain and a way nicer sound. This is a winner when it comes to under $1000. I would love to see my students have a guitar that could last them into their intermediate and advanced years. Please consider investing if your art and yourself! But wait! The C10 has Rosewood (see next section). With their new line of “Grand Concert” guitars you get an all solid wood guitar both top, back, and sides. This one with cedar and rosewood. There is also a slightly cheaper Yamaha CG12 with mahogany back and sides but with a small jump I’d get solid rosewood for the richer deeper yet clearer tone. Although I think the Cordobas are a slightly better deal is a close pick between this and the Cordoba C10. Try them for yourself. Yet another step up but this one has Solid Canadian cedar top & better yet Solid Indian rosewood back and sides. Hand inlaid Mother-of-Pearl “Esteso” Rosette. Indian rosewood bridge with ebony fingerboard. Includes Cordoba Polyfoam case. This is about as good as it gets until you make the leap to a totally different price range and custom luthier builds. Highly recommended if you plan to stick with guitar. Also comes in a small scale “parlor” (Cordoba C10 Parlor) for all you shorties out there. 630mm. Beware of small neck profile. Cordoba C10 Parlor. See my full video review of the Cordoba C10 Guitar or the Cordoba C10 Parlor Guitar. All the goodies, maybe the best factory affordable guitar I’ve seen. Modern design elements also include a lattice braced top and raised fingerboard for easy playability when accessing upper frets. It’s wonderfully loud and balanced. It can keep up to luthier made guitars minus some tone. If you are young concert player or just want a high quality instrument for an affordable price buy this. See my full video review of the C12 Cordoba Guitar. Once you step above the $2000 mark I would seriously consider getting a luthier made guitar. In general, a luthier made guitar will be around $4000-10,000 range. You’ll want to talk to teachers and players to get an idea of who you should buy from. The truth is, luthier made guitars, that is, a guitar made by one person custom for you, is the best instrument you can get. I personally own a Marcus Dominelli guitar at around the $7000 Canadian price range and I love it. None of these will be available on Amazon.